Army Sgt. John Carkeet, public affairs specialist, 143rd Sustainment Command (Expeditionary), visits Helsinki, Finland, from Aug. 30-31, 2014. Carkeet traveled to Finland's capitol city via ferry from Tallinn, the capitol of Estonia and closest neighboring city from across the Baltic Sea. Upon disembarking from the surprisingly fast and spacious pleasure craft, Carkeet toured Helsinki on foot, boat, bus and trolley. His one-man expedition introduced him to Finland's delightful seafood, historic structures and impressive cruise ship construction yards. 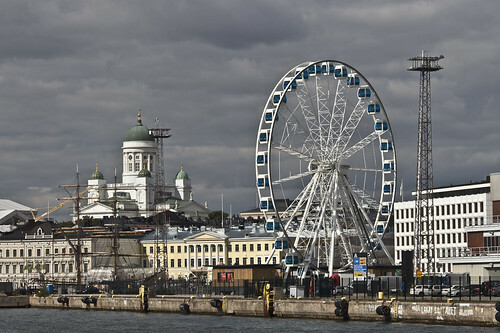 Carkeet also captured Helsinki's skyline while riding the recently constructed Finnair Skywheel. 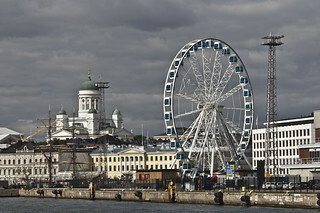 Carkeet feels fairly certain that he made a footnote in the Finnish history books as the first U.S. Army Reserve Soldier on active duty orders to ride this 140-meter (459-foot) high ferris wheel. In typical fashion, Finland's people boasted their proud heritage and competitive nordic culture by actions rather than words. Thousands of its citizens converged to the heart of the city to attend the country's largest independent film festival. This mass of creative talent was shadowed only by the tens of thousands of Finnish men, women and children running 26.2 miles around the city in celebration of a midnight marathon. Carkeet bade farewell to Finland when he boarded a cruise ship bound for Tallinn Aug. 31. There, he was greeted by a diverse skyline where medieval towers snugged themselves between modern malls, cruise ships and even a tethered hot air balloon. Carkeet vows to return to northeast Europe with his wife and perhaps his future children by 2020.